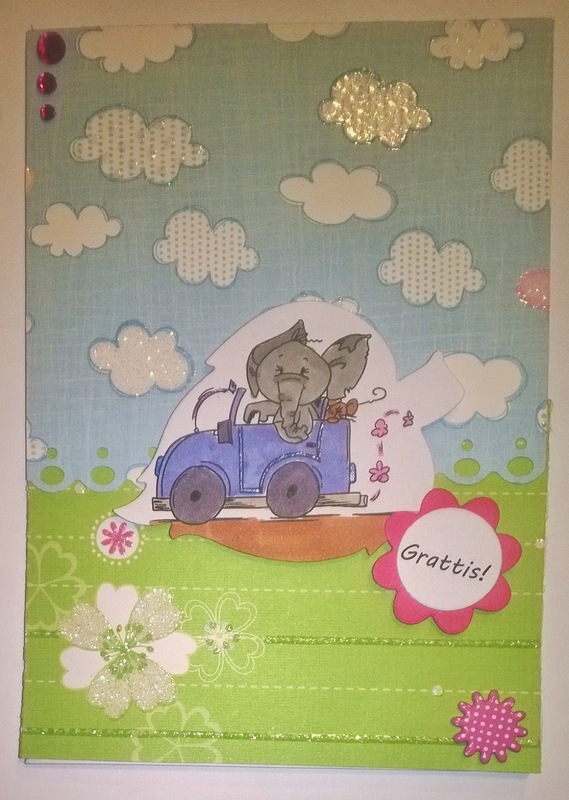 Jag deltar i följande utmaningar: Catch the Bug (I even managed to combine the two challenges: Stella Says Sketch and September Bingo: Leaves (the die cut) - Bugaboo image - Brad), Squirrel and the Fox (Happy Birthday), Glitter'nSparkle (Must use Pink), Pile it on (Shiny) och Suzy Bee (AG w/ spots and dots - here in some clouds and the brad). What an adorable card! I really like the cute image - elephants are wonderful! So glad you linked up with us at Glitter n Sparkle for our Must Use Pink challenge. Best of luck in our prize draw! What pretty sparkle! Thanks for playing BiNGO with us at Bugaboo Stamps this week. Good luck in the draw! Love your darling card. Thanks for joining us at Catch The Bug. Thanks so much for joining the Bingo challenge at Catch the Bug, we hope to see you again this week for our new challenge!